Labradors come in a variety of sizes and there’s a difference between English labs and American labs. 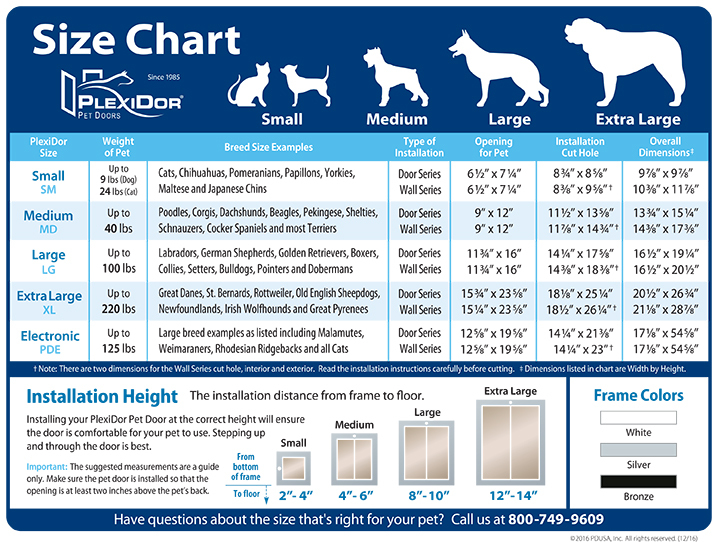 Most female labs weigh between 55 and 70 pounds and most male labs between 65-80 pounds. 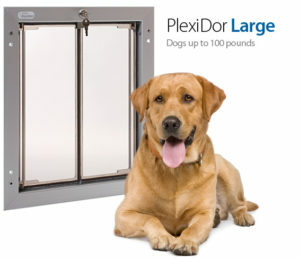 The PlexiDor Large is designed to accommodate dogs up to 100 pounds. 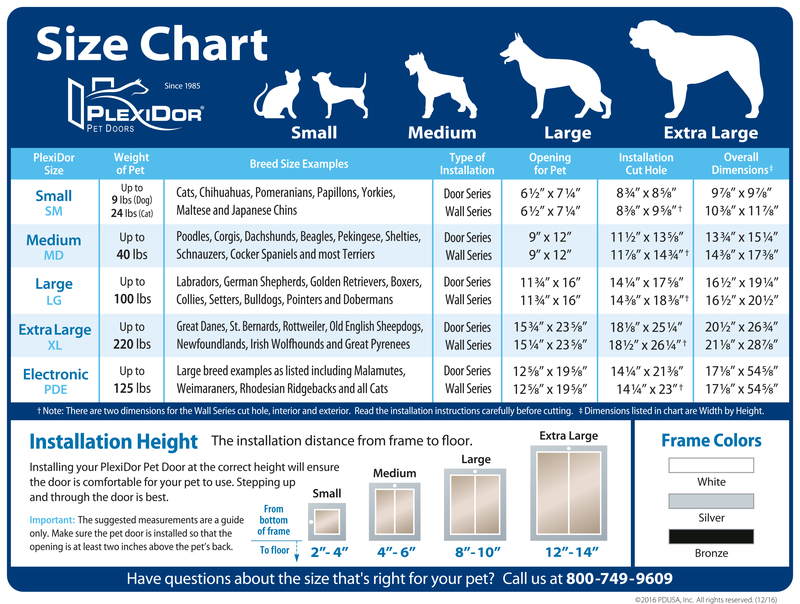 The opening size is 11 3/4 inches x 16 inches, and the door is usually mounted 8″-10″ from the floor. The top of the opening should be just above the pet’s back (they will bend their head to push the door open and go through). Other common breeds that need a large door include Collies, Boxers, Setters, German Shepherds, Dobermans, and Golden Retrievers.